Strong movements – everyone profits but the victims. Criminal? Maybe. As Risk Managers, there is yet another risk we must manage as it relates to active shooters. As if dealing with the event itself wasn’t enough, now we have to manage the that are trying to help support the victims. 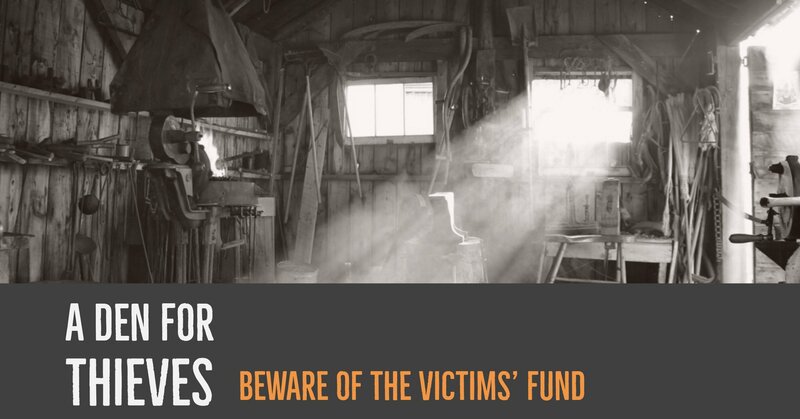 Criminal enterprises exist everywhere and victim support funds are no exception. Most of us can recall the headlines of 503(c) who received millions of dollars, yet couldn’t explain where the money went or never released the money to the victims. 9-11 victims, flood victims, the list is longer than Santa’s naughty list. And here again, there are large index fingers pointing at the impropriety of Vegas Strong who reportedly received over $12 million but only issued 12 checks for a grand total of a little more than $14,000.00. A number that any person with basic math skills will tell you isn’t enough to cover a kid’s birthday party these days, let alone help with the expenses of lost wages, funerals and the like. The criminal accusations are flowing like the beer tap at a ball game, but that doesn’t stop the Strong founders from defending their actions. Criminal or not, holding on to millions of dollars raises big red flags and personally I am calling cowpie. While I am not sure where this whole STRONG movement started or when it started, I know one thing it is more popular than Cardi B at a freshman dance. It seems that every tragedy now has a STRONG movement behind it. Even the Marjory Stoneman shooting has their own movement to raise funds. https://lovemsd.com/MSD_Strong/shop/home And it is doing quite well raising more than $200,000 in funds. From that standpoint these STRONG movements are beneficial, but like everything, no good deed goes unpunished. And that is where Risk Management comes in. In the aftermath of a tragedy, Risk Management needs to be mindful of what STRONG movement or other support programs they are going to endorse or setup. Reputations hang in the balance and with PTA’s and PTO’s setting up their own STRONG movements, it is possible that the money grab will be more temptation that most people can handle. Most people don’t see $100k a year let alone $12 million. Problems? Maybe. As some wise men once said, the best time to plant a tree was 25 years ago and the second best time is right now. Now is the time that you should prepare for your own STRONG movement. Hope is not a strategy and hoping you never have to, well is plain stupid, so let’s get started.